The new 8" dual-zone V-Pads features Roland's latest dual-triggering technology, resulting in more consistant and accurate sensing between the head and rim. Built tank-tough and ready to take a pounding, these new-generation pads are available in both black and white finishes with chrome bracket. 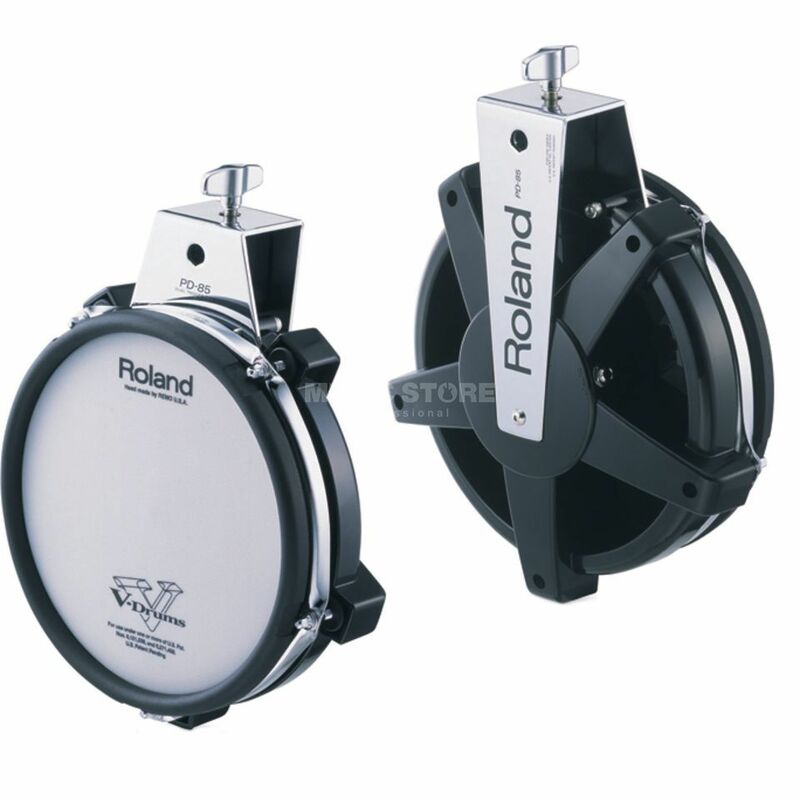 When used as tom-toms for TD-12 and TD-20 sound modules, the pads let you play rimshots, and the sound will change depending on the strength of your stroke.